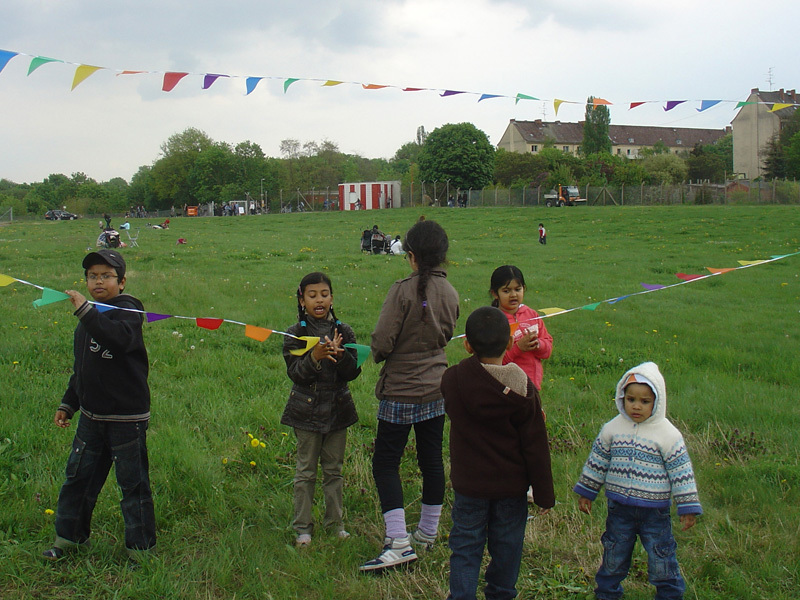 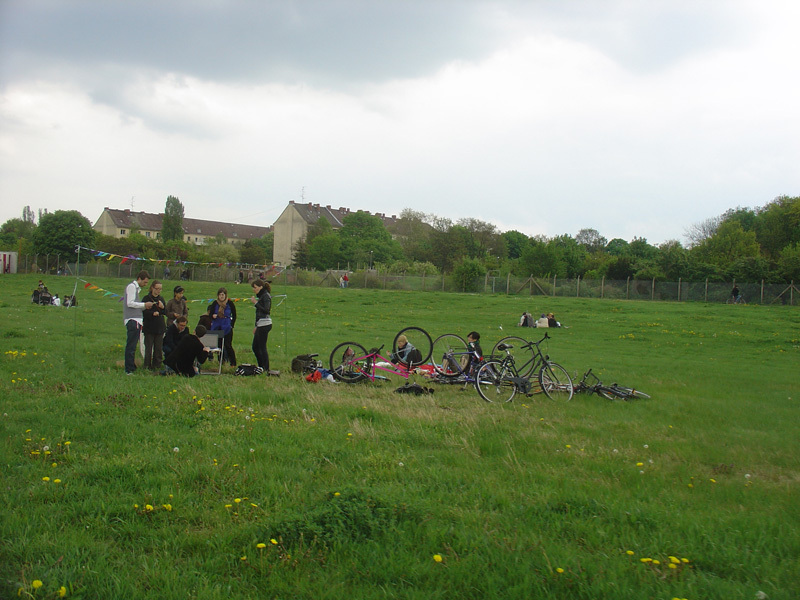 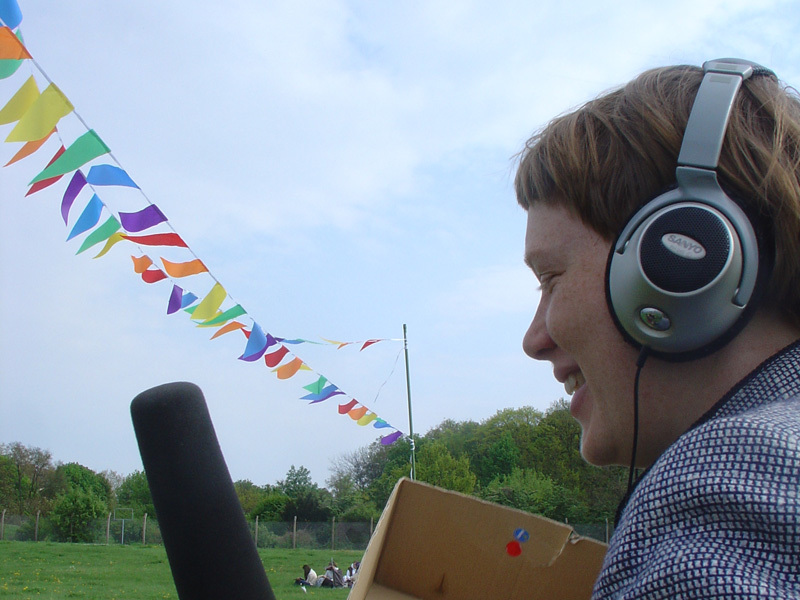 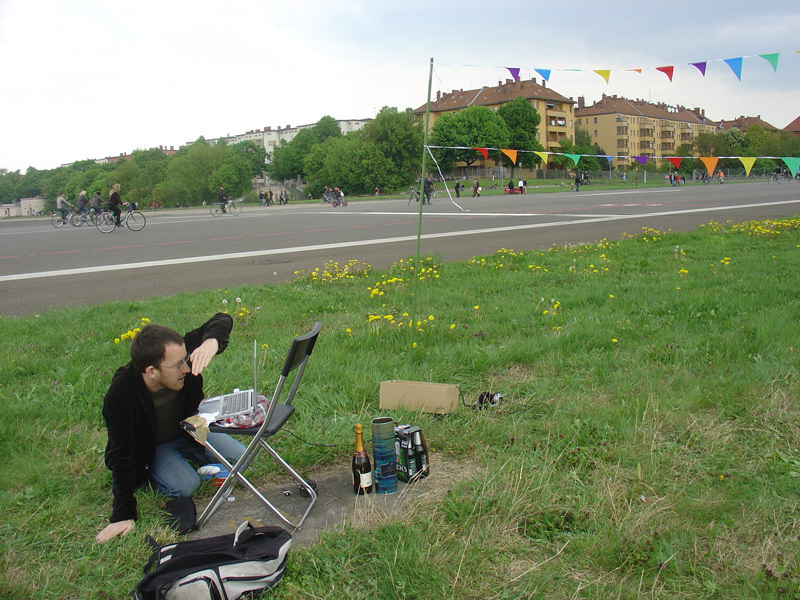 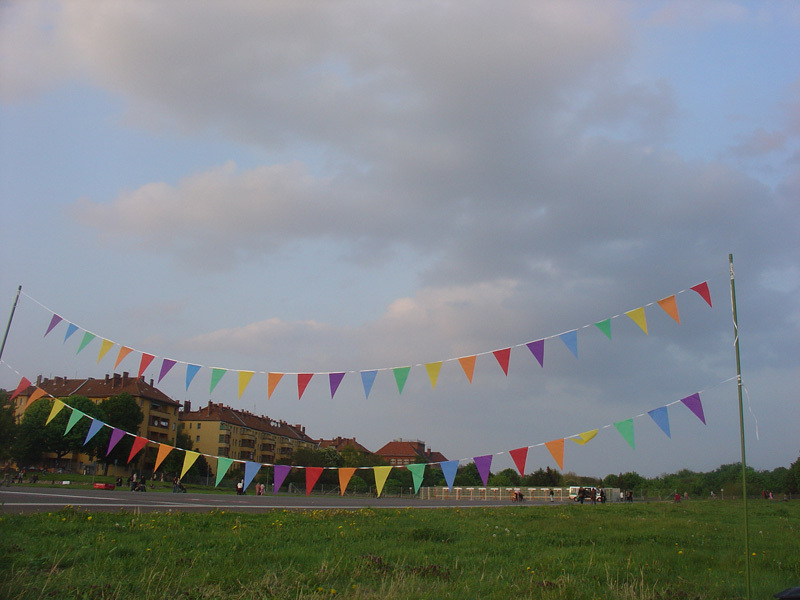 Airshow is a live broadcast participatory event, developed in collaboration with Dave Ball. 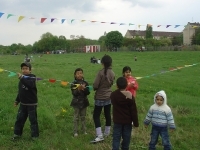 The project formed part of Field Broadcast, which was presented by Projeckt for Wysing Arts Contemporary Presents. 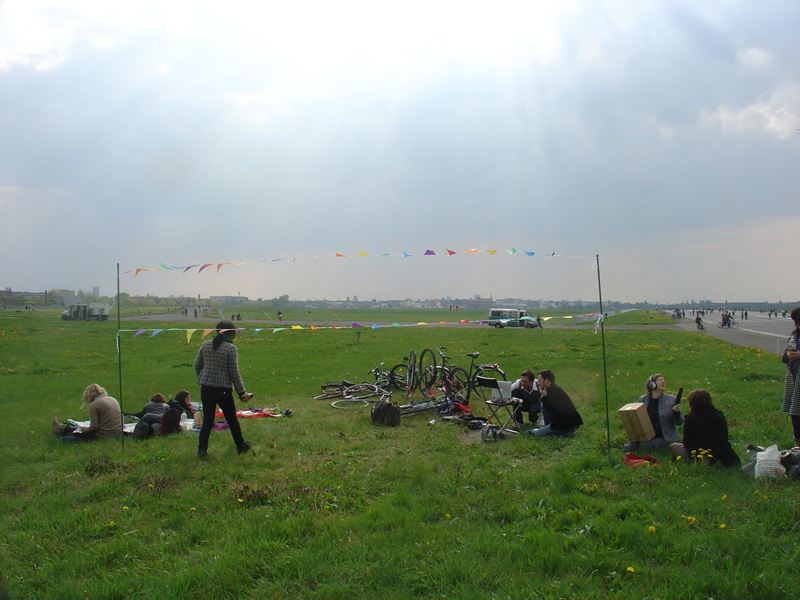 For their contribution to Field Broadcast, Dave Ball and Oliver Walker worked on site, attempting to reintroduce to the airfield something of its former sonic landscape. 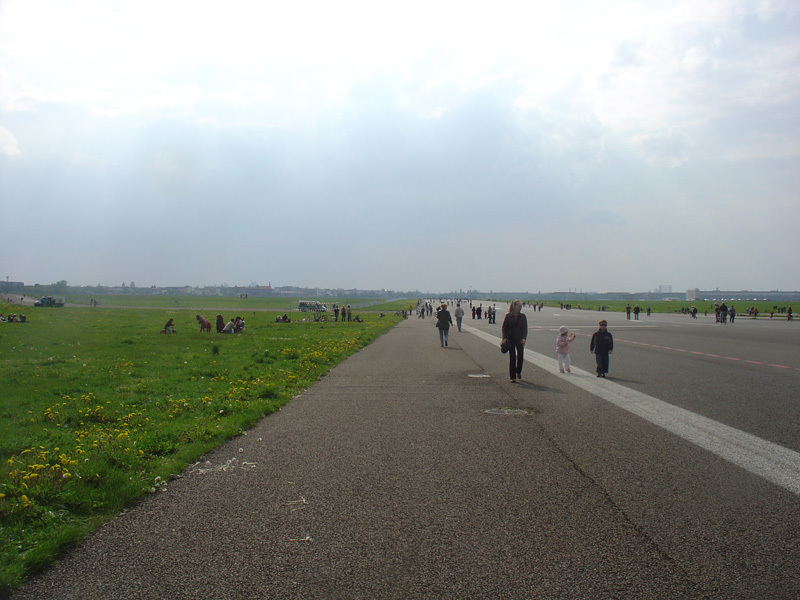 They invited members of the public to simulate, as accurately as possible, the sound of planes taking off. The activity took the form of a live broadcast contest: each volunteer in turn mimicked the noise of the take-off, with the most successful winning a small prize. 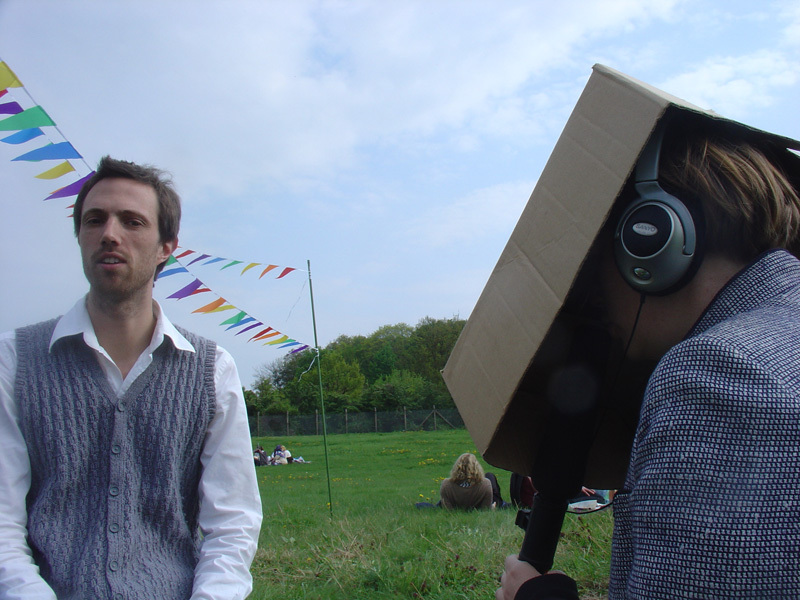 Positioned behind a fixed camera gazing out across the field, the contestants provided their imagined soundtrack. 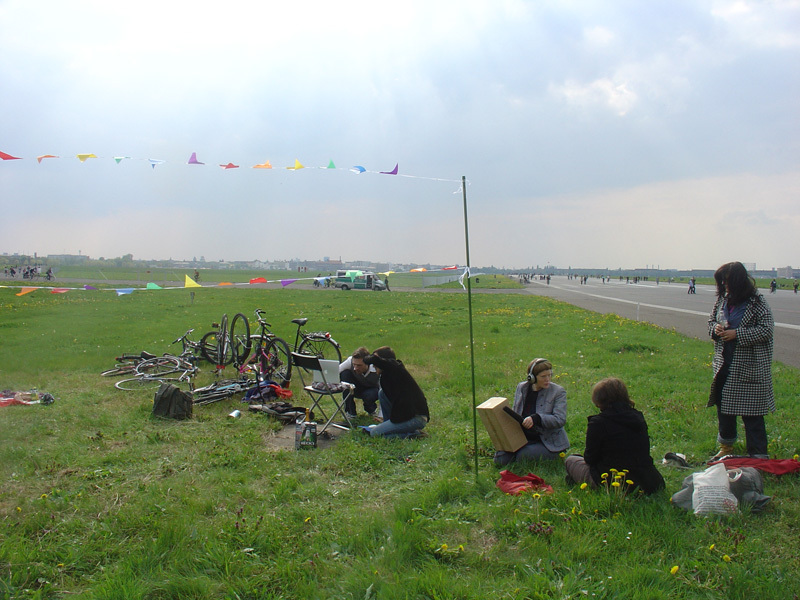 The remote viewers of Airshow were the judges, deciding who had filled the sonic void most convincingly. 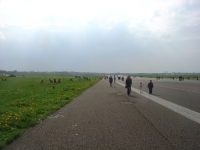 These viewers were presented with a simple uninterrupted view across the airfield, a mute image of a historic site brought to life by the simulated sound of its past.